Supporters are lamenting the demise of Bradford Bulls, despite a spirited fundraising effort that raised £500K for the beleaguered rugby league club. 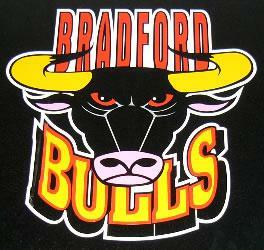 The Bulls, one of rugby leagues biggest names and World Club Champions as recently as 2006, were placed into administration by insolvency firm The P&A Partnership and now have 10 days to avoid being liquidated, a move that would make the club extinct. Fans rallied behind their stricken club earlier this year by raising £500,000 in less than two weeks to keep the team afloat until the end of the season after the club’s bank cut overdraft facilities, but recently the club admitted this wasn’t enough. The London 2012 Olympic and Paralympic Games will deliver an £804m consumer spending injection for the UK this summer and an economic legacy worth £5.33bn by 2015, according to a new report from Visa Europe. The study, ‘Realising a Golden Opportunity: Visa Europe’s London 2012 Olympic and Paralympic Games Expenditure and Economic Impact Report’, looks at the consumer expenditure and economic output related to The Games and its distribution across the country. It is based on spending data from previous Games and major sporting events as well as Visa’s insight into consumer spending in the UK. The Games open on the 27th July and, according to the reports, in the seven weeks following international visitors will spend £749m, representing an 18% increase on the level of spend that would be expected if the Games were not taking place in 2012. Spending by domestic consumers will increase by £54m during the Games, and the knock-on effect of this increased consumer spending translates into widespread economic impacts and an increase in output worth £1.21bn over the seven week Games period. The report also calculates the legacy impacts of the Games between 2013 and 2015 and looks at the predicted increase in visitor spending and economic output attributable to the Olympic and Paralympic Games and its distribution across the country. This spending and economic output will be driven by the raised international profile of the host city and country, by concentrated international media exposure and the benefit of ‘word of mouth’ recommendations from Olympic visitors returning home. During the seven week Games period, industries most closely associated with tourism such as retail, hotels and entertainment will feel the benefit of The Games. The English Premier League announced today that Sky and BT has gained the rights to English top flight matches in the UK between the 2013/14 to 2015/16 seasons. Sky secured five packages allowing them to receive 116 matches, while BT got two packages worth 38 matches. The overall value delivered for the seven packages following the structured and independently scrutinised sales process totalling £3.018 billion ($4.7bn). Premier League Chief Executive, Richard Scudamore, said: “The Barclays Premier League continues to provide excellent football and enthralling drama as we saw last season. The value this drives for our rightsholders is evident and we are extremely pleased that this has been realised for our UK live rights. “As ever, the security provided by broadcast revenues will enable our clubs to continue to invest in all aspects of their football activities and plan sustainably for the foreseeable future. This deal allows them to keep delivering what fans want; top quality football in some of world’s best club stadia and an increasing focus on and commitment to areas such as Youth Development. “The continuing support of BSkyB for Premier League football is significant beyond the revenues delivered; the longevity and quality of their commitment has done much for the English game as a whole. We are very happy to see this relationship maintained for another three seasons. “We welcome BT as a new Premier League broadcast partner. They are a substantial British company that is at the leading edge of technology and infra-structure development. They are clearly investing in quality content to use on their platforms and when combined with the reach and pull of Premier League football they will deliver new ways in which fans will be able to follow the competition. “These are exciting times for both the football and media worlds and we should all be proud of the value both industries contribute to the UK culturally and economically.